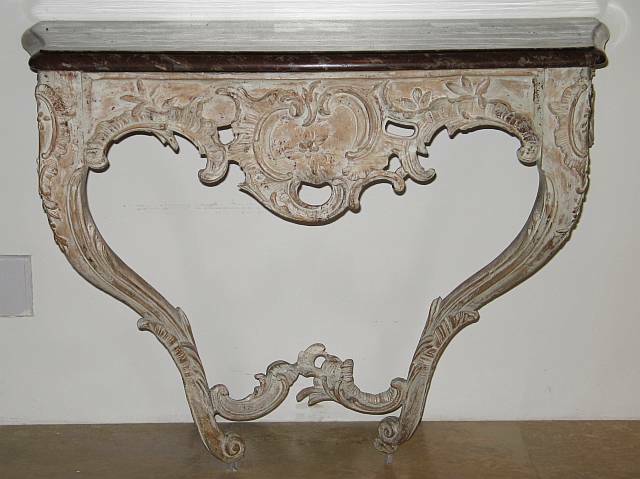 French Louis XV style carved pine console with beige paint finish and rouge marble top. Rococo influenced scroll carving. Wall hung.